Don’t ever wish to be someone else. Recognize the power that you bring to your own world, and the power that you bring to the entire world. When you recognize that you are here for a reason, you can keep moving forward. Show your talents. What you bring to the table is like no one else. Have you moved to Hollywood to become an entertainer but struggle in booking great work? Do you wish to have a thriving career in TV and film but face stiff competition? Do you need inspiration to keep moving forward as an entertainer? If so, you are in the right place. Celebrity Hollywood actress, Danielle Bisutti – seen on ABC, CBS and on the big screen – is here to offer tips on how to stay in Hollywood and love what you do! 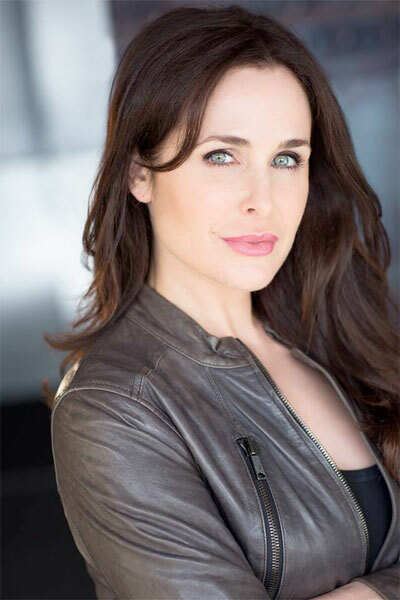 Join Olympia LePoint as she interviews Danielle Bisutti. Listen to Danielle’s personal story as she reveals the ways she navigated through the entertainment business, offers news on her current projects, and gives tips for new entertainers. 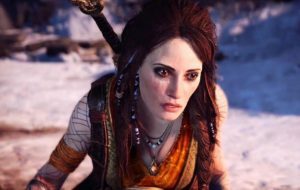 Danielle Bisutti in SONY’s “GOD OF WAR” Video Game. Danielle Bisutti has made a name for herself in the entertainment industry with the diverse characters she has brought to life in film and television. In 2013, Bisutti received rave reviews for her role in top grossing, Sony Pictures’ and FilmDistrict film INSIDIOUS: CHAPTER 2. Released in theaters nationwide, Bisutti appeared as the ‘Mother of Parker Crane,’ and Universal Studios Home Entertainment’s CURSE OF CHUCKY. On the television, Bisutti guest starred and recurred on “Anger Management” for FX, “Grey’s Anatomy” for ABC, and “CSI: Crime Scene Investigation” for CBS. Bisutti has created film projects, with credits including: Lionsgate’s VENICE UNDERGROUND; First Look Home Entertainment’s THE NEIGHBOR; and Lionsgate’s NO GREATER LOVE. Danielle now is seen on video game GOD OF WAR, a development by Santa Monica Studio and published by Sony Interactive Entertainment for the PlayStation 4 console. Visit DanielleBisutti.com for more details.